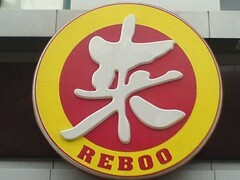 I don’t see where “reboo” has anything to do with “people(s) who eat tacos, nachos and burritos”. I believe that the word has its roots in the Spanish, French, and Portuguese words that mean “echo” “thunder” “rebound” and “bounce”. Maybe I would understand the taco nuance if I was really cool, eh? What type of food do they serve? Chinese? Norther American or a mix bag?